Usually cabs feature in EastEnders when a character bids farewell to Walford, but this time it's a cabbie that's joining the ranks of Walford's finest. 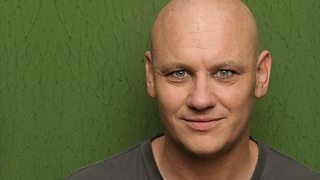 Fresh from the stage at this year’s Edinburgh Festival, comedian Terry Alderton will be joining the cast of EastEnders as Bianca Butcher's new taxi-driving love interest. Having spent time away in Manchester, a smitten Bianca returns to Albert Square in the autumn, with new beau Terry Spraggan in tow. Terry is your typical Cockney cabbie. Definitely a bloke’s bloke, he’s never short of an entertaining story to tell about who he’s had in his cab the night before. Dad Terry is certainly going to put the spring back into Bianca’s step, having not had a serious relationship since divorcing Ricky, for the second time, in 2010, and whose recent attempts at dating have not gone well. Award-winning comedian Terry Alderton is currently appearing in his own show at the Edinburgh Festival, as well as in a new adaptation of the Stephen King classic The Shawshank Redemption. A former Southend United footballer, presenter and actor, Terry’s credits include BBC’s Michael McIntyre’s Comedy Roadshow, Holby City and the final series of London’s Burning, playing firefighter Charlie Mead. Terry will start filming in September and his first episodes can be seen on BBC One this autumn. Get the latest news, spoilers, video exclusives and more... fresh from Albert Square.